 Odd variations on the "Bag it/tag it" lyrics, an atypical jam, and a Simpsons signal. I Didn't Know featured Fish on trombone. Trey sang the verses of Fee through a megaphone, dedicated Llama to Chelsea Clinton and, with huge balloon and flowers in hand, dedicated Amazing Grace to his sister on her 30th birthday. Amazing Grace was performed without microphones. Reba included odd variations on the "Bag it/tag it" lyrics, an atypical jam, and a Simpsons signal. Tweezer contained Gumbo teases from Mike and Page. The intro to Big Ball Jam also contained a quick Gumbo tease from Mike. 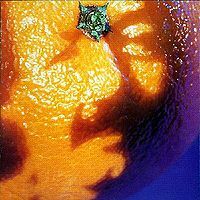 The vocal jam in YEM included a brief piece of the traditional Oh My Darling, Clementine. February 7th kicks things up a notch. This show is of a significantly higher caliber than anything else thus far on the tour. Suzy > Buried Alive > Poor Heart is a phenomenally energetic start to the show. Ice has another nice, though truncated, jam. This Forbin's narration is absolutely ridiculous. Trey is really a pretty damn good story teller. He doesn't let his stories get to static and there's always a child-like sense of interest on his part that really draws you in. It's a wonderful thing. I won't spoil the story for you, but it's totally odd and awesome. A tight Rift, "virtuosic" trombone-ing from tubs in I Didn't Know, a good Melt, tight Fee, and fun Jim wrap up frame one. I'm not sure why, but I really enjoyed Fee. It wasn't particularly abnormal. Perhaps it was the placement... I dunno, it was super cool regardless. Llama always opens well. Fast Enough For You seems to be a little early in the set, but it's a great song and the flow isn't interrupted at all. Reba is a serious highlight. The jam departs Reba's normal fare foreshadowing the type II greatness the song would reach in August. Don't sleep on the non-departed sections either. Trey is playing wonderful lines that sound like they were plucked right out of one of the Fall '95 greats. Tweezer is quite good and the Big Ball Jam to follow is perhaps the only BBJ I've ever even slightly enjoyed from a musical standpoint. The craziness of BBJ is a good yin to Tweezer's yang. Glide is Glide. Who doesn't like that song? YEM is awesome. The ambient vamp in the beginning is really nice. Page really plays well on his solo in this one. Some of the best YEM organ soloing I've heard from him. Trey's solo reaches a great peak; Fish goes over the top! Confession time: I know I called 2.5's bass and drums awesome, but that was before I'd heard this one. Mike and Fish really tear it up. Seriously tear it up. Blows 2.5's out of the water. The vocal jam continues to conclude with drone-y singing. It'll be interesting listening to the rest of the tour's YEMs to see if they continue to mess around with actual harmony in the vocal jams. Page proceeds to purvey a prime performance in Coil. Mike also plays some wonderful lines when Trey has the melody on guitar; listen for him at those points. If I Only Had A Brain sans HYHU is nice. As far as I'm concerned, the most annoying part about Fishman songs is HYHU, so it was nice to hear one without. The Mike penned songs Contact and BBFCFM close this very strong show in style. PS: I haven't been looking at any current reviews before I write my own, but after I'm done writing I like taking a look to see where my opinion falls. This show has a much lower rating than I was expecting and the other reviewers seem to think it's pretty meh. I'm actually quite shocked. For me, this is a clear highlight so far in this tour and holds up against other great shows from later in the tour. I'm still strongly recommending this show; hidden gem comes to mind when I think about it. 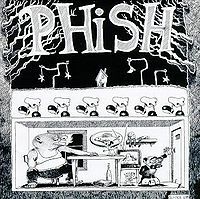 1993 Spring Tour is truly a watershed era for Phish, when the fanbase was still small. 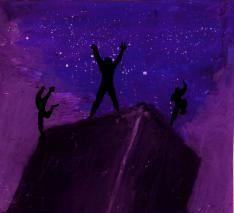 There was an awareness that the band was on the cusp of something big, but hadn't quite reached it yet. Five months later, they're playing sheds and the connection with the audience had changed forerver. The intimacy of this period is revealed in moments like the Forbins>Mockingbird and the encore of this show. For a brief period from Fall of '92 through spring of 1993, Forbin>Mockingbird was played very regularly (once every 10 shows or less), with Trey's offering lengthy Forbins narrations. With the band's audience expanding, Trey was still trying to connect regularly with the small venue crowds. It was a unique strategy (I saw him completely lose many in the audience during one Forbin's on this tour), but on this night the crowd is with him the entire way. This Forbins is 15 minutes long, with Trey invoking the group mind telling people to imagine, "Hundreds of hearts pounding next to each other, with everyone's heartbeat going at the same pulse". The story ends with the audience sliding down a baby's diaper, and Mockingbird has a few moments of machine gun Trey soloing that's just incredibly clean. Melt is solid for the era, but not spectacular, while Jim soars with an invigorated, raw energy. Trey says before the second set, "Tonight is a very special night", with Chelsea Clinton in attendance and points out it's her very first concert (If she was actually there, she would have been 13 years old, but it could have also just been Trey joking). He dedicates a scorching Llama to Chelsea. 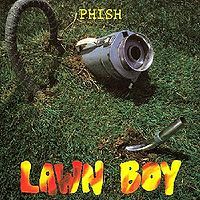 The atypical jam in Reba mentioned in the notes is definitely worth hearing, while Tweezer heads outside with some (barely noticeable) Gumbo teases. Solid YEM, and BBFCFM is extended while the band riffs on Trey's sister's birthday. The Reba is unique enough that it deserves a listen, and fans of Forbins narrations might find this one interesting. There's not much else noteworthy about this show. Just another solid night on a great tour. Second and last time at this venue, we have the fifth show of the tour at George Mason. Good recording overall and only a few sound related tweaks from Paul at the board. First set stars off with good, solid versions of Suzy, Buried Alive and Poor Heart. This was the first Suzy of the New Year. The taper levels and Paul were still settling in during an ok version of Ice. Sparkle was good. Alright! The first Forbin's of the year is great to hear and has an equally great story to go with it. I'm a big fan of this song. Unfortunately the Mockingbird that goes with it isn't that great, right from the transition onward. Rift was also a little rough tonight as Trey had some troubles. IDK sounded like Mike was missing from the mix, but comes in later to say "NO!" in a funny moment. Melt was well played. Fee was good, maybe a little off, and seemed to lack energy. Nice Jim to close up a decent first set. After the dedication Llama false starts because Trey's amp was on standby, leading to some good laughs. The sloppy song features some good Page playing. FEFY is ok, not quite polished up yet. The Mind of its Own is a nice bust out for Mike and good for another laugh as he forgets parts. Reba gets sloppy from Mike and Trey, which leads to some funny singing parts. Really nice jam at the end of the song. Tweezer is good and pretty standard for this time period. The Ball Jam still doesn't quite have its official ending yet, but it's getting there. 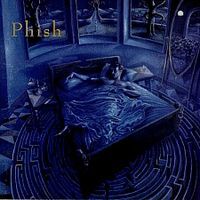 Glide was good as was YEM and Coil with a nice Page solo as usual. First Brain of the year brings out Fishman with a great vacuum solo and funny antics, right into a standard Tweeprise. Strange that there is no HYHU tonight. Great moment as Trey calls out his sister's birthday, and dedicates a pretty good Grace to her, from what I could hear. Always tough to record the songs with no mics. The first Contact of this year is a little rough and maybe unpracticed as the middle section is messy. Mars is always fun and this one has a great count off section from Fishman. I would give this show three and a half stars if I could, but the sloppy playing brings this one down just enough to my ears. This show is a hidden gem! Everyone knows about the May, August, and NYE gigs, but the rest of 1993 is kind of amazing, too. This is a prime example. Set 1 features a major highlight in the form of a Forbin's > Mockingbird narration for the ages. Alternately spellbinding and disturbing, you'll be somewhere different by the time it's over. Interesting melodic variation at one point during Mockingbird, too. 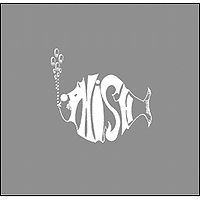 Rest of the set is just typically crisp '93 Phish. Set 2 is loaded with highlights, beginning with a Chelsea Clinton joke. A playful Reba features "baguette" lyrics and a tasty little diversion during the jam. Tweezer is impressively rocked-out. Coil features an exquisite piano solo by Page at the end. The showpiece is an absolutely glorious YEM. The intro is pure ethereal beauty, and then things erupt into a shredfest of a jam. The vocal jam's Darling Clementine infusion is simultaneously haunting and hilarious. The encore is special in that Amazing Grace was dedicated to Trey's now deceased sister on her 30th birthday, which is said to be her 4th during a typically ridiculous BBFCFM. Good stuff! Heck, this was 20 years ago, some I'm just going by what stands out in my mind from that show. 1) The Story during Mocking Bird is fantastic. I think I was 2nd or 3rd row, totally captivated. I miss those neat, intimate, interactive things Phish used to do. As the review above notes, it was a different time in the band evolution that will never happen again, and wouldn't work today. I'm just happy I got to be a part of that experience. A fun listen for sure. 2) The Chelsea Clinton Shout Out! He looked right at my buddy Ben and pointed to him when he called out Chelsea. Just a wacky moment, only at a PHish show. Musically I don't remember much. Never a bad show, but nothing is engraved in my mind. The venue was cool, very laid back for the time. I give it 4 stars for the Mocking Bird story and the Memories, but probably a 3 star show for those that weren't there.